This beautiful trophy, shown above, was made in London in 1810 by Thomas Robins, foremost silversmith of the times. A silver prize is also presented to the LNGA Champion. The CUP is actually two beautiful antique silver vases donated in honor of Wilma Gilliland in recognition of her many years of dedicated support and commitment not only to the Ladies National Golf Association but also to all of women’s golf: young, old, amateur, professional. This trophy donated by the McDonald family will be designed and ready for presentation annually to the LNGA Champion Runner Up in the name of our past board member, Iva May McDonald. 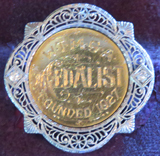 This sterling silver tray was donated to the LNGA by Lucile Mann, the 1941 Champion, It was presented to the LNGA to be awarded to the Team Medalist in honor of her victory. This old Victorian silver cup, made in England in 1885, was presented to the LNGA in 1968 by Mrs. Ander K. Orr, twice LNGA President. It is presented to the player having the lowest score during qualifying. A dainty antique golf pin with diamonds was presented to the LNGA in memory of Mrs. Herndon, first treasurer of the association, by her husband, Charles Herndon. The tournament medalist has the honor of wearing this pin for one year. This handsome Sheffield Bowl was donated in 1959 in memory of Mrs. Claude E. Woodruff, the first LNGA President, by her two daughters, Mrs. J. T. Woodruff, Jr. and Mrs. Timothy W. Donahue. It is presented annually to the player over age fifty who has the lowest qualifying score. 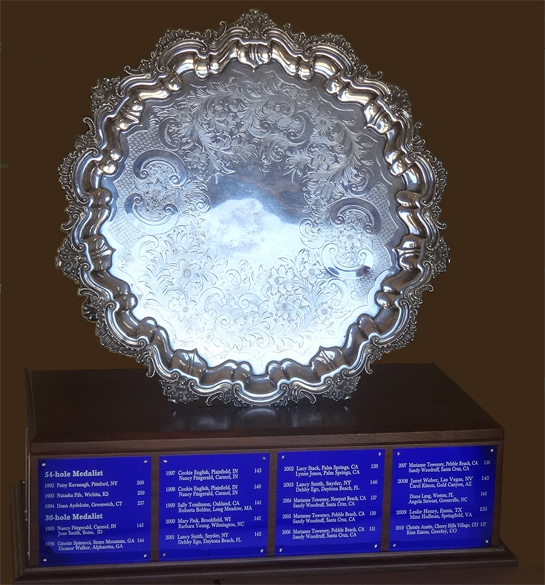 Her keen interest in junior golf and the desire to encourage young golfers prompted Mrs. Dorothy B. Pease, three time LNGA President, to present this beautiful silver bowl to the association in 1953. The award is presented to a junior player, under the age of 18 with the lowest qualifying score. This award was added to the 2014 Amateur Championship and donated by LNGA Directors Carolyn Gigac, Ann Swanson and Sally Tomlinson. The award will be presented to a player 25 years of age or older with the lowest qualifying score. 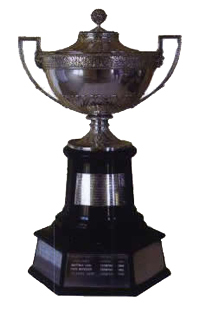 This distinctive silver vase was presented by Mrs. Charles Howell, one of the first supporters of the LNGA, and is awarded to the club or university/college whose two members have the lowest combined qualifying score.